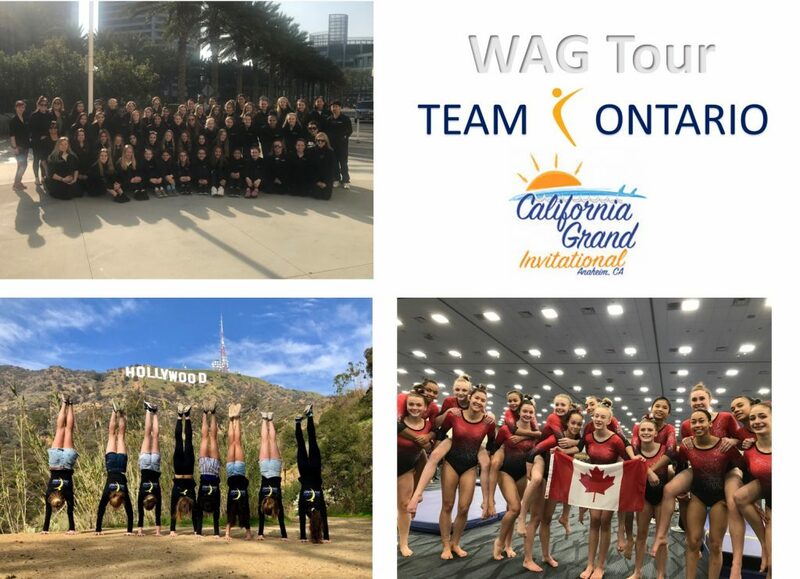 Team Ontario traveled to Anaheim, California on January 10-14th, 2019 to compete in the second California Grand Invitational. 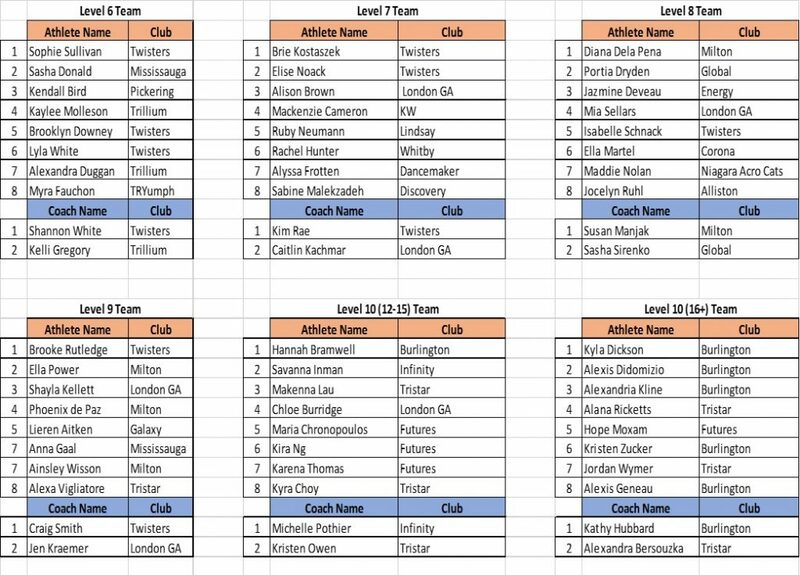 48 athlete and 12 Team coaches and 9 personal coaches from all over Ontario represented Team Ontario ! Congratulations to all the Team Ontario athletes and coaches for their outstanding performances! While the athletes arrived and competed as a team they also achieved individual successes! For full results, click here. 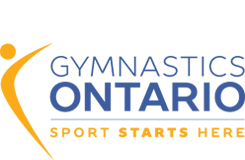 Congratulations to all the Ontario ATHLETES AND COACHES!!! What is next for Team Ontario? 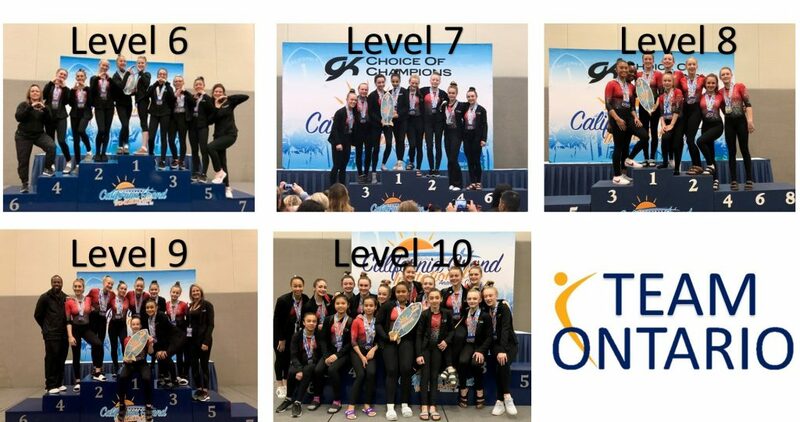 Eastern Canadian Championship and Canadian Championships – Team Ontario will be selected from the Ontario Championships competition, April 5-7, 2019 to participate in the Eastern Canadian Championships, May 10-12, 2019, in Prince Edward Island (PEI) and Canadian National Championships, May 21-26, 2019 in Ottawa, Ontario. We look forward to these upcoming events!